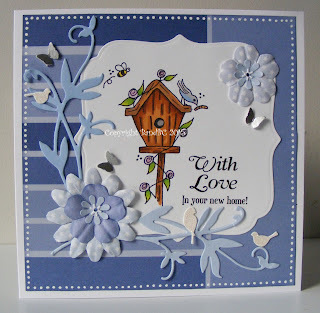 For my card this week, I got the lovely "birdhouse " from Crafty Sentiments. Its such a lovely little image to colour, and really didn't take long. to make a little dotty border. Fun colors! Glad you could join us at Get Creative Challenges! Gorgeous card. 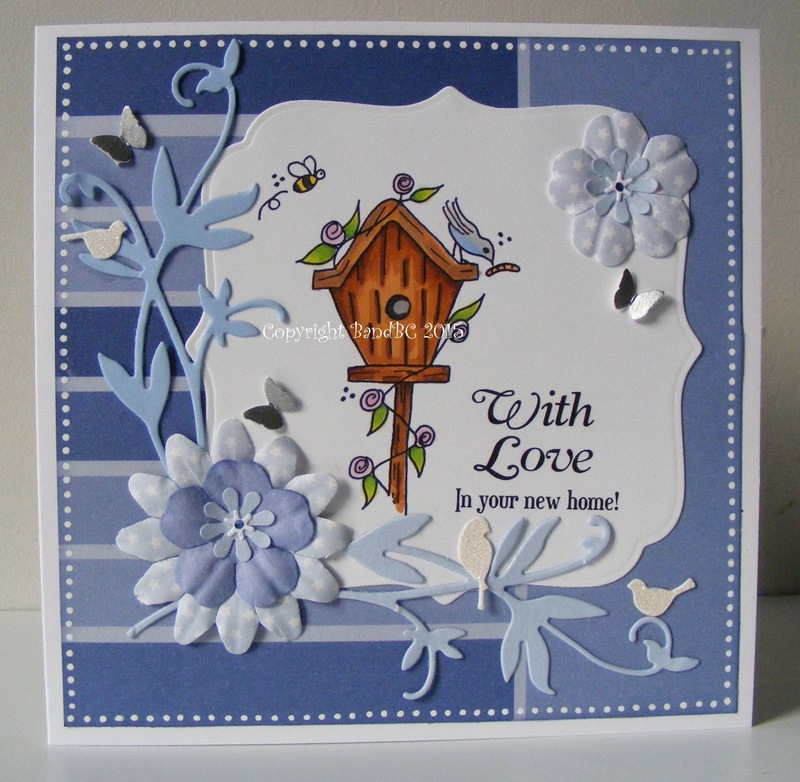 Thank you for playing along with our Challenge at Creative Craft Cottage. We would love to see you again. Hi, A lovely project, I love the image and the colour choice. A lovely style. Thank you for joining us this fortnight. Simply Papercrafts Good luck. We would love to see you again for our next challenge. Would it be at all possible to add a link to our challenge in your post. That is a beautiful card. Thanks for joining us at Die Cuttin' Divas this week. I love this card. The colours and the image ...a simple elegant card. Thank you for joining the challenge at Creative Craft Cottage and hope to see you back soon. Good luck. Ursula DT. Gorgeous card! Thank you for playing along with us at Craft Your Passion#268. We would love to see you again! A lovely creation. Thanks for sharing with us at Crafty Friends. Pretty card! Beautiful colors and patterns! I love the image too! Thank you for playing along in the Word Art Wednesday Challenge! Have a blessed day!